Powerplant: 649cc Fuel-Injected Parallel Twin, 6-Speed trans. 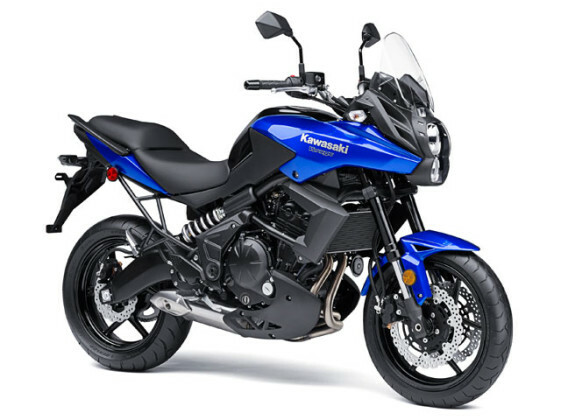 The Kawasaki Versys is more of an Adventure “Styled” Bike than a true Adventure Bike. The bike has a comfortable upright riding position and stepped seat that works well for 2-up riding. The charismatic twin-cylinder engine offers good power and smooth operation on the highway. A tall windscreen and good fuel mileage give it long-range touring capabilities. ABS brakes are standard on the new 2014 Versys as well.